If you prefer comfort dressing when it comes to fashion, you'll love this simple combination of a charcoal crew-neck t-shirt and black skinny jeans. 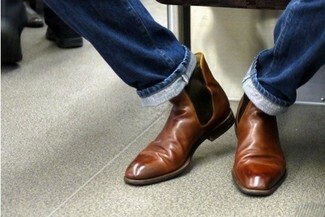 Rocking a pair of Cole Haan lenox hill chelsea shoes is a simple way to add extra flair to your getup. If you're on the hunt for a casual yet seriously stylish ensemble, consider pairing a grey denim jacket with dark brown corduroy jeans. Both garments are totally comfortable and will look great paired together. 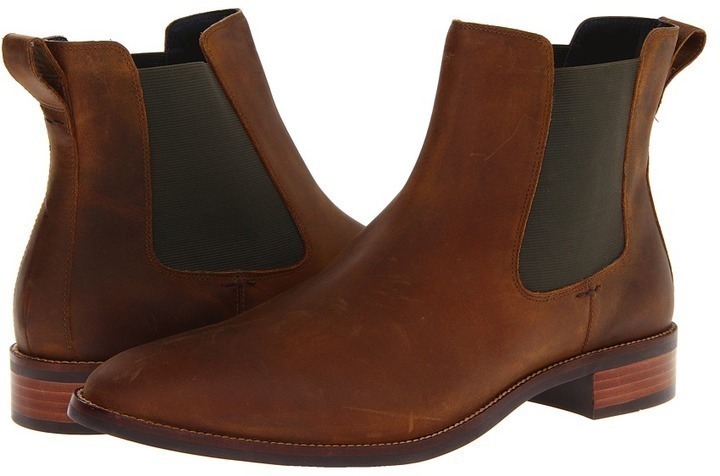 Channel your inner Ryan Gosling and rock a pair of brown leather chelsea boots to class up your look. If you're looking for a casual yet on-trend ensemble, choose a charcoal knit blazer and black skinny jeans. These garments are very comfy and they will also look wonderful paired together. 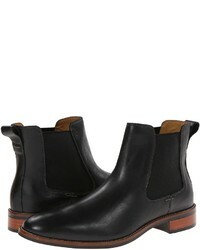 Rocking a pair of brown leather chelsea boots is a simple way to add some flair to your getup. For a nothing less than incredibly stylish look, reach for a tan suit and a blue gingham dress shirt. 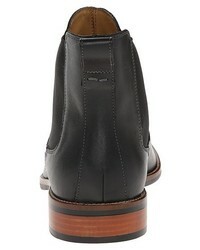 Go for a pair of Cole Haan lenox hill chelsea shoes to loosen things up. 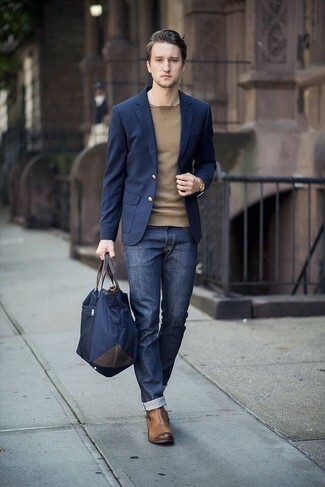 This pairing of a navy blazer and navy jeans is very easy to make up without a second thought, helping you look dapper and ready for anything without spending a ton of time digging through your closet. You could perhaps get a little creative when it comes to footwear and lift up your look with Cole Haan lenox hill chelsea shoes from Zappos. 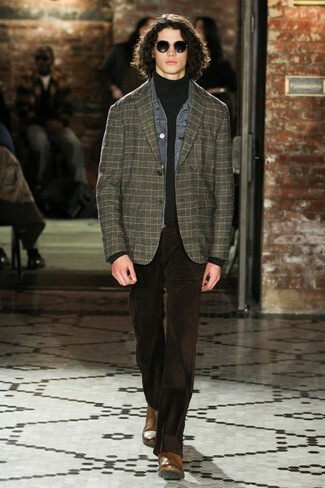 Consider pairing a charcoal wool waistcoat with navy jeans for a classic and refined silhouette. 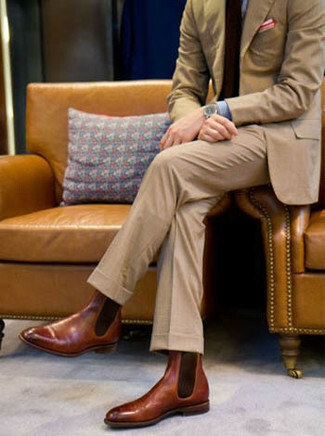 When it comes to shoes, this ensemble is finished off nicely with Cole Haan lenox hill chelsea shoes. Rock a tan suit with a blue vertical striped dress shirt for a sharp classy look. 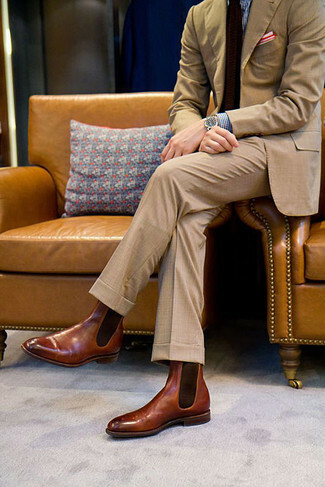 For something more on the daring side to round off this look, grab a pair of brown leather chelsea boots. 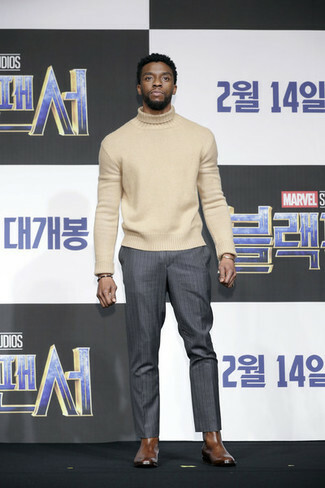 This combination of a beige wool turtleneck and charcoal vertical striped dress pants is super easy to pull together in seconds time, helping you look amazing and ready for anything without spending a ton of time going through your closet. 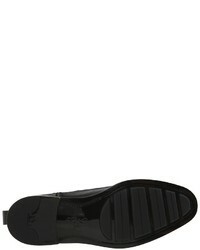 When it comes to footwear, this outfit is complemented nicely with Cole Haan lenox hill chelsea shoes from Zappos.